The death anniversary of Mar Immanuel Pothanamuzhy will be on Tuesday 3rd April in St. Joseph's Cathedral at 11.00 am. The 6th death anniversary of Mar Sebastian Valloppilly is on 4th April. The death anniversary of Rev. Fr. Francis Valayil is on 10th March. The Holy mass will be in Zion Chapel at 7.00 am. The diocesan day will be on Thursday 3rd May. HDC contact class will be on March 17th and 24th at Pastoral Centre, Dwaraka and March 3rd at Pastoral Centre, Manimooly. catechism annual exams will be on Tuesday 3rd April. The Result of Plus One, Plus Two, HDC & DCC 2012." The first death anniversary of Rev. Fr. Peter Cherukaramuttam is on 7th February. Pastoral Council Meeting will be held on 10th March at Pastoral Centre, Dwaraka from 10 am to 1.30 pm. The last date for submitting the application for education aid fund is on 30th March 2012. The death anniversary of Msgr. Thomas Moolakkunnel is on 3rd November and the death anniversary of Fr. Joy Choorackamattathil is on 12th November. Young Priests' Course begins on 21st November and ends on 24th of November. Vishwasolsav is on 12th and 13th of November. Congratulations : Rev. Fr. Paul Korandiyarkunnel has achieved Doctorate in Philosophy from Dharmaram Vidya Kshetram, Bangalore.Vishwasolsav is on 12th and 13th of November. Young Priests' Course will begin on 21st to 24th November at Pasoral Centre, Dwaraka. The first death anniversary of Rev. Fr. Jacob Nedumpillil is on 26th October. The death Anniversary of Rev. Fr. George Kazhikkachalil and Rev. Fr. Mathew Illickal is on 19th September. The death Anniversary of Rev. Fr. Joseph Mazhuvancherry is on 2nd September. the next Priests' conference is on 29th of August 2011 at Pastoral Centre, Dwaraka. There will not be Living - Togehther Programme for Priests' this year. - First batch is on 18th to 23rd September 2011. - Second Batch is on 25th to 30th September 2011. Justice sunday is on 21st September. Catechism quarterly exams will be on 28th August. The last date for accepting the application for Education Aid Fund is on 31st March. The Catechism annual exams will be on 3rd April 11.30 to 1.30 pm and the diploma exams will be on the same day at 2pm to 4pm. HDC first years contact class is on 26th March at Pastoral Centre, Dwaraka. The Major seminarians gathering is on 7th to 10th May at Mount Mary College. The general Transfer of the priests' will be on 14th May. The death Anniversary of Rev. Fr. Fransis Valayil is on 10th March. The death anniversary of Mar Immanuel Pothanamuzhy is on 6th April and the holy Mass for him on the same day at 11. 15 in Cathedral Church. The 5th death anniversary of Mar Sebastian Valloppillil is on 4th April. Congratulations and best wishes to the new KCYM diocesan team: Sajin Jose Chalil, Harsha Cheravelil, Shamjith Chelackal, Sruthi Nedugoottukudy, Antony Mangadapra, Jithesh Mulakkakkunnel, Dotto Mundupalackal. HDC (Higher Diploma in Catechesis) wriiten exam will be on Saturday,12th February at 10am to 1pm at Pastoral Centre Dwaraka and Manimooly. And oral exams will be on 26th and 27th at Pastoral Centre, Dwaraka and on 3rd March at Regional Pastoral Centre, Manimooly. The last date for accepting the application for education Aid Fund is March 31, 2011. KCYM State competition will be on 3rd, 4th and 5th December at Dwaraka. The diocesan Curia will be closed from 22nd December 2010 to 2nd January 2011. Next Priests' Conference will be on February 2nd 2011 at Pastoral Centre. New appiontment: Rev. Fr. Mathew Chakkalayil CST, Vicar Moolankave and Associate Vicar of Bathery. The death anniversary of Rev. Fr. Joy Choorackamattam is on 12th November. Bio-data of His Excellency Most Rev. Salvatore Pennacchio, the new apostolic Nuncio to India. Catechism teachers Day is 12th September. CML State level literary competition : is on 21st September at Dwaraka. HDC Contact Class :for second years will be on 9th and 23rd of October at Dwaraka and 16th October at Manimooly. Priests' Conference is on 11th August 2010 at Pastoral Centre. CML Literary competition diocesan level is on 15th August. The last date for the application for DCC and HDC is July 15th. CML Diocesan Team Meeting : on 11th June at 6 p.m at Pastoral Centre, Dwaraka. HDC Contact Class: April 20th and 24th at Pastoral Centre, Dwaraka and in Manimooly Region 28th of April. Catechism Annual exams will be on 10th April Saturday and in Gudalloor region the exams will be on 11th April Sunday. For Boys :April 5th Evening to 7th morning at Pastoral centre, Dwaraka. For Girls:April 7th eveninng to 9th morning at Pastoral Centre, Dwaraka. The last date to apply for the diocesan education Aid Fund is on 5th April. The annual Meeting of Major Seminarians will be from 25th to 29th April. Minor Orders of the diocesan major seminarians will be on 31st March ( 7 a.m) at Minor Seminary. The death Anniversary of Bishop Immanuel Pothanamuzhy is on 6th April. The Holy Mass will be at Cathedral Church at 11.15 on the same day. Congratulations and prayerful wishes to the diocese of Mandya and Bishop-elect Msgr. George Njaralakatt. at 2.00 pm in Infant Jesus Church, Hinkal, Mysoor. The midterm catechism exam is on 13th December. "Angel Meet 2009" - the meeting of the first communion children of this year is on 27th November from 9.30 to 3.00 p.m. at Pastoral Centre, Dwaraka. August 14-17, Pastoral Centre, Dwaraka. September 27-30: Pastoral Centre, Dwaraka. Hearty Congratulations to Rev. Dr. Saji (Joseph) Nedumkallell, who obtained a doctorate in Theology, from Bonn University, Germany. July 22-26, August 14-17, September 5-9, September 27-30 at Pastoral Centre, Dwaraka. Next Priests Conference on 29th July , from 10.30. am to 4.00 p. m at Pastoral Centre, Dwaraka. The next One Day Convention at Zion CRC, Dwaraka is June 6, 2009. Marian Singles Meet conducted on 28-04-2009. Thanks to Rev. Fr Mathew Madapallikunnel who has been the director of the diocesan Family Apostolate for past ten years. Marriage Preparation courses on June 2-5, June 26-29, and July 22-26 at Pastoral centre Dwaraka. Sthree Sree- Womens meet organized by KCYM to be held at St Peters and St Pauls Town church Mananthavady on June 13. Congratulations to the Rank holders and the 82 students who attained first class in HDC exam 2007 -2008 conducted by CFCS. Catechism teachers Training and Introductory Seminar will be held at Pastoral Centre Dwaraka. The Gathering of the students and their parents who are the beneficiaries of Diocesan Education Aid Fund and EFFECT (a program by the Womens Religious congregations) held at Dwaraka, Bathery and Manimooly on May 8, 11, 13 respectively. Altogether 526 students and their parents participated in the gathering. During the celebrations, His Exc. Mar Jose Porunnedom blessed the Studio and Office of Radio Mattoly The new Community Radio Station of the Diocese. 1 Moolankavu St. Judes Chapel has been erected as an Independent Station on May 03, 2009. It consists of 200 Catholic families. K.C.B.C. Madhya Virudha Samithi Decennial Celebration is on 5-6 December 2008 at Trichur. Rev. Dr. Dennis Kazhuthady Obtained a doctorate in Biblical Theology, from Gregorian University, Rome. Rev. Dr. Adv. Thomas Joseph Therakam On his Doctorate from Karnataka Open University. The next Marriage Preparation Course is at Dwaraka Pastoral Centre: May 09-12; May 28-31; June 26-29. Next Marriage Preparation Courses are from March 19-23 at RPC, Manimooly, from March 27-30 at Dwaraka Pastoral Centre. Annual Examinations of Catechism is on 4th April and for Gudallur Region is on 5th April. 'Viswasolsavam of Catechetical Department is from 1-3 April. Death Anniversary of Rev. Fr. Francis Valayil is on 10th March. Vocation Camps; For girls March 31-April 03; For boys- April 15-18 (Dwaraka, Pastoral centre): For boys and girls April 20-23 (RPC, Manimooly). Diocesan Vocation Camps at Pastoral Centre, Dwaraka are from March 31- April 3 for girls and from April 15-18 for boys and the camp at RPC, Manimooly is on 20-23 April for both girls and boys. KCYM diocesan, Mekhala, Unit 'Nethrusanghamam' is on 14th February at S.H. School, Dwaraka. Visvasolsavu is from 1st April to 3rd April. Catechism Exams: 4th April from 10 a.m. to 12 p.m (1-9 classes). 2 p.m to 4 p.m (10 class, 4, 7 scholarship exam). In Gudallur Region the exams are on 5th April. Special coaching for those who are engaged in giving formation to the candidates for the First Holy Communion. Venue: Pastoral Centre, Dwaraka; Date: 27, 28 February 2009. Rev. Fr. Benny Veliath has come back after his Europe trip..
Next Marriage Preparation Course is from 30th January to 2nd February. CML Diocesan Anuual Day and Symbosium is on 26th January at Nadavayal: Hearty wellcome to all the CML members. KCYM Kalpetta Mekhala and Prsanthagiri Unit have secured the best Mekhala and best Unit awards: Congratulations! His Excellency Mar Jose Porunnedom is elected as the Labour Commission Chairman of KCBC; Congratulations and Best Wishes! Meeting of Parish Priests and Headmasters of Catechism is on 10th January 2009 at Pastoral Centre, Dwaraka at 10 a.m. Coaching for First Holy Communion trainers on 27-28 February, 2009. Catechism HDC contact class is on 20th December 2008. CML diocesan managing committee is on 13th December, 2008 at Pastoral Centre, Dwaraka at 10 a.m.
CML 'Bible Vakhya Padana Malsaram' is on the diocesan level is on 22nd December, 2008..
K.C.Y.M. Diocesan Senate is on 27-28 December, 2008. It begins on 27th at 4 p.m. and ends on 28th 3 p.m.
K.C.Y.M. diocesan annual convention in on 27th December 2008 at 9 a.m. at Pastoral Centre, Dwaraka. Marriage Preparation Course is on 12-15 December 2008- Dwaraka (PC); 19-22 December 2008 -Manimooly (RPC); 29 Dec.-1 Jan. Dwarak (PC). Rev. Fr. 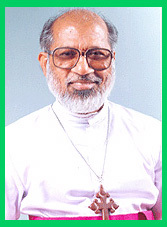 Jose Thayyil, S.J. conducts the seminar on topic Training in Animation and Organizational Skills with Life Skills Perspective. Intercessory Prayer for the success of the Convention on November 20 at Zion chapel, Dwaraka from 10 a.m. to 1 p.m.
Kudumba Register is ready to buy from Bishops house. HDC contact class is on November 8, 29 at Pastoral Centre, Dwaraka. CML 2007-2008 the best unit is Chithragiri; the best mekhala is S. Bathery: Congratulations! KCYM Perl state competition is on December 6,7,8, 2008 in Kanjirappally. KCYM report to be submitted before the end of December, 2008 for the award. Zion CRC Antharika Saukhya Dyanam is from 21-26 November, 2008.